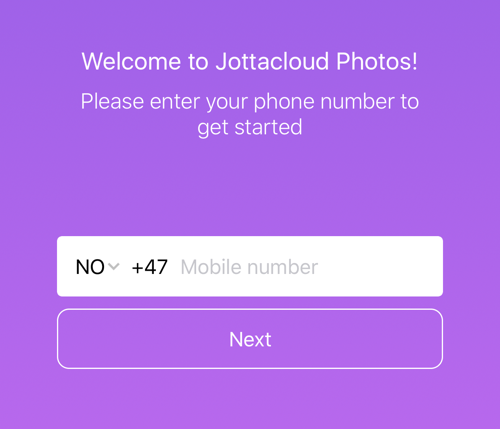 To sign up for Jottacloud, you simply provide your phone number, email address and name. When the application launches, press "Sign up for free". 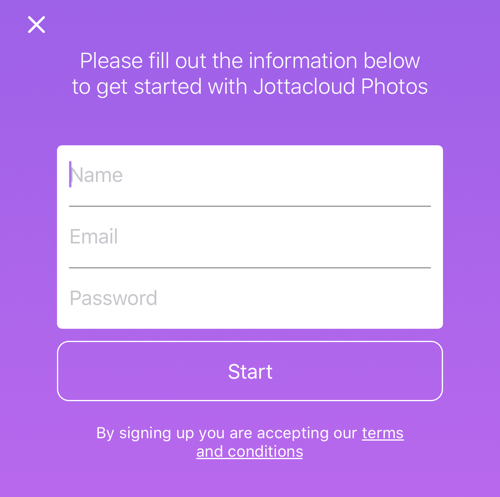 If you already have a Jottacloud account, press "Log in to existing account" and jump to the "Log in" section of this article. The first information we need is a valid mobile number. Fill in the correct phone number and country code and press Next. 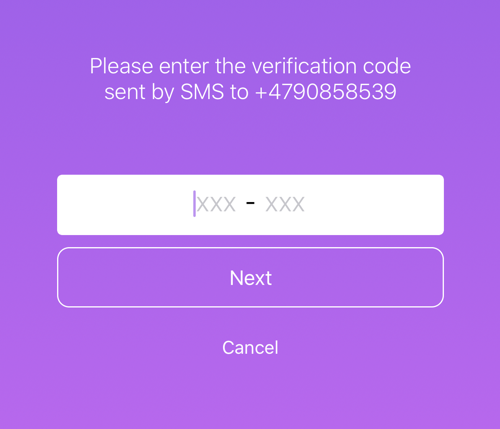 We will send you a text message containing a verification code. Enter the code and press Next. If you enter the wrong code, you can try again. Press the back arrow to change the phone number. Next, provide your Name, Email and desired password. To protect your account you should choose a strong password that you keep safe. Press the Start button to submit. 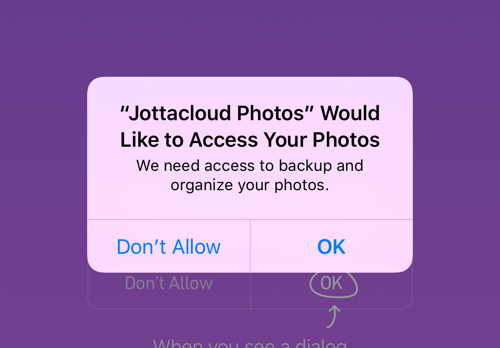 The last step is to grant Jottacloud access to the photos and videos on your device. 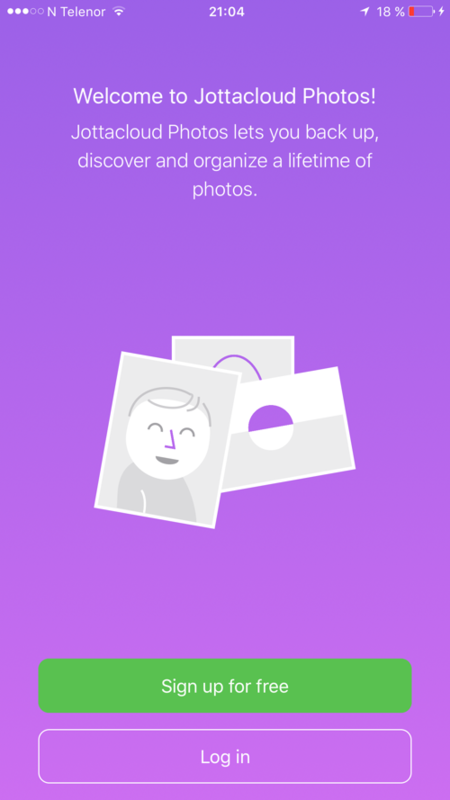 Press the Grant Photo Access button near the bottom of the screen. And the press ALLOW in the dialog. 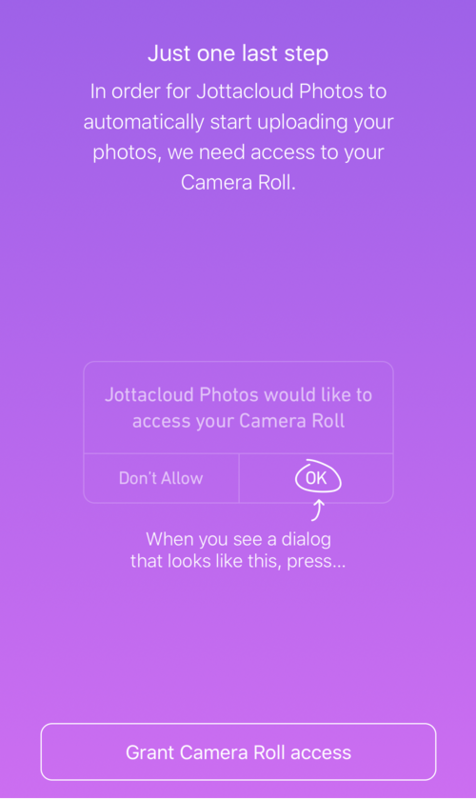 You have now successfully created your Jottacloud account.